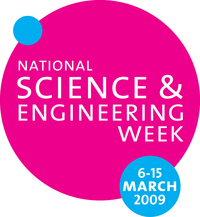 Part of the National Science and Engineering Week. Understanding the Mathematics of the Universe. Event Location: The day will be taking place in the Poynting Physics Building (R13 on the University map), the talks will take place in the Large Lecture Theatre (S02). Directions to the University can be found on the University's visitor information pages and a campus map can be found here.